About a month ago, Jerry and his wife were in the central Florida area and stopped by for a visit. We had a great time talking about “all things Wersi”. Jerry is probably, if not the only, OAX-1 owner here in the states? If someone else owns one here in the U.S. – Speak Up! The good news? Jerry has one. The bad news? 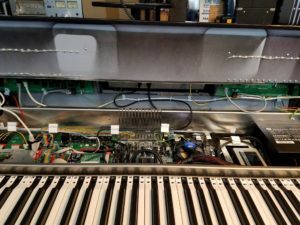 When it arrived the display was damaged – YIKES! 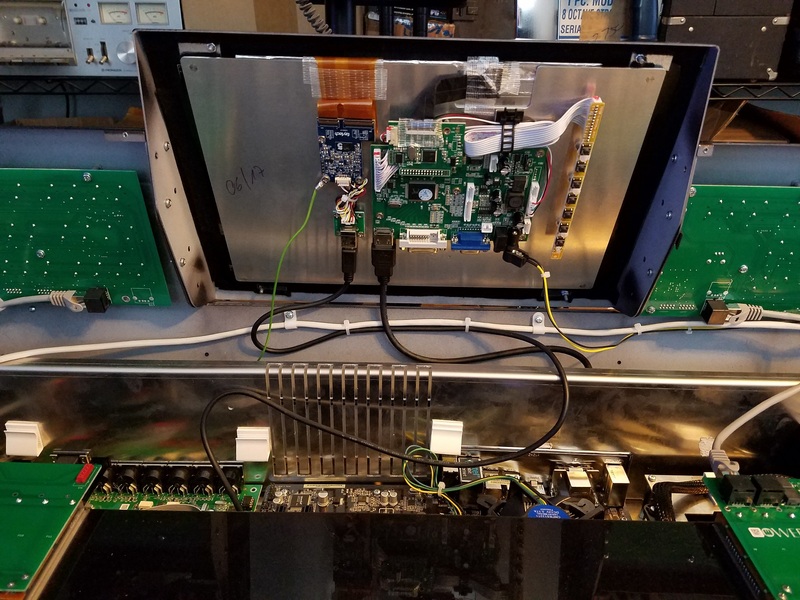 Jerry sent some pictures last night showing the inside of his OAX-1 as he replaced the damaged display. 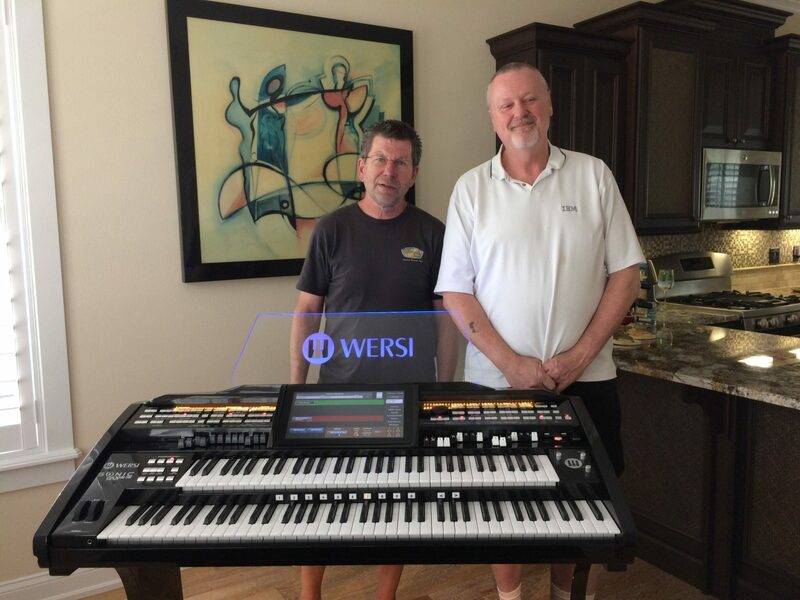 Jerry and I (I’m the little guy on the left) with our Sonic. 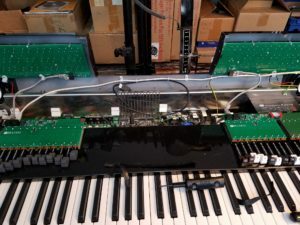 The display in the OAX-1 when it arrived – Not pretty! The “underside” of the display. Over on the far right you can see the power supply. A little to the left of that you see the SSD – a smaller black object with a silver / white strip on the left side. You might know it as the C: Drive that hosts Windows and OAX. 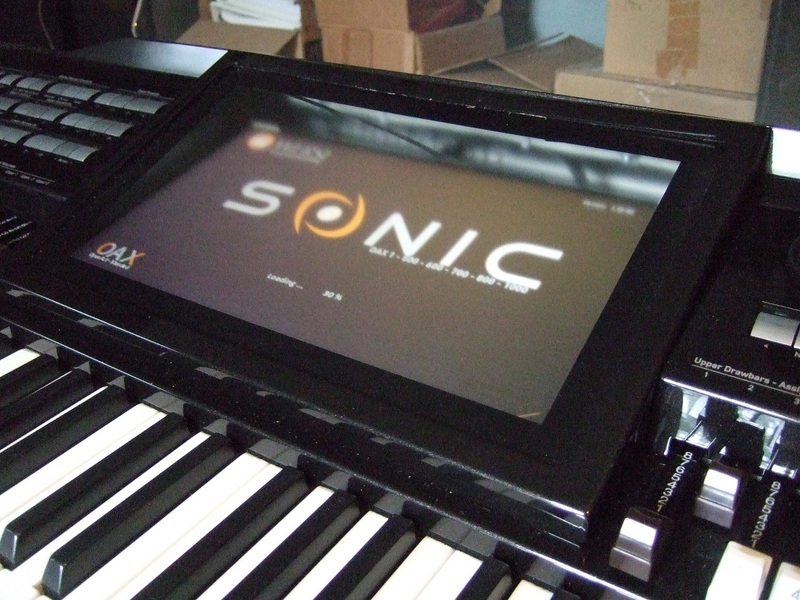 See our discussion about adding a second SSD to our Sonic. A little more to the left, under the blue circle, would be CPU – The “brains” of the instrument. WOW ! What an adaptation of new electronics ! They have replaced all electronics ! And they did not even forget to vacuum ! There was only a remote paint missing (lol). What a pleasure to see all the process ! 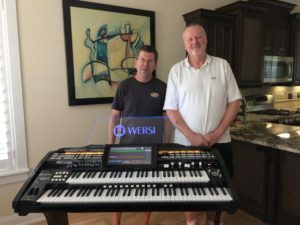 The WERSI organ is newly reborn ! I wish we humans could do it to ourselves as well . All my life I worked as an electronic technician and five years in between as a Personal Computers technician. By these images you gave me the opportunity to see the electronics inside my Sonic 600 without having to open it. What a beautiful electronic technology ! Samuel – Don’t know if you have watched all the videos we have done or not? Here’s one you might find interesting. 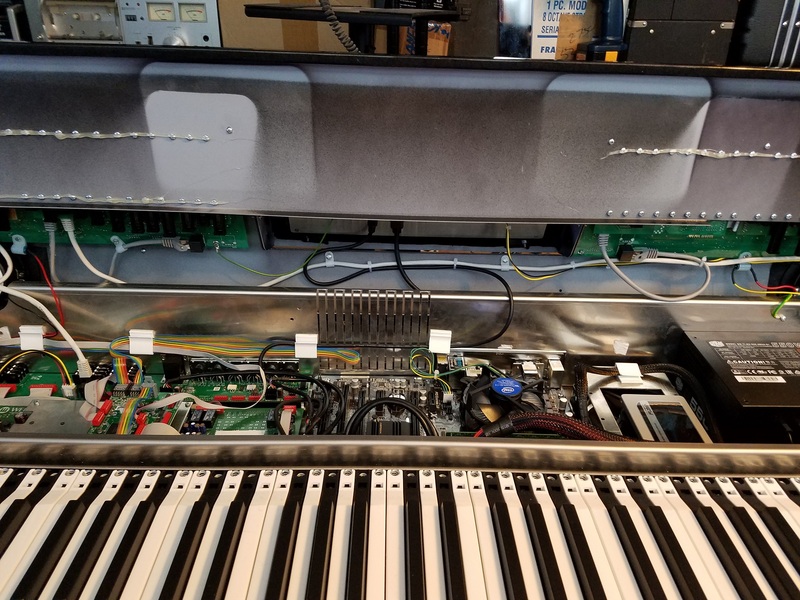 Shows you a little more about the “GUTS” of our 700…. Enjoy! Curt , I have watched all your videos many times including the one you mentioned above. 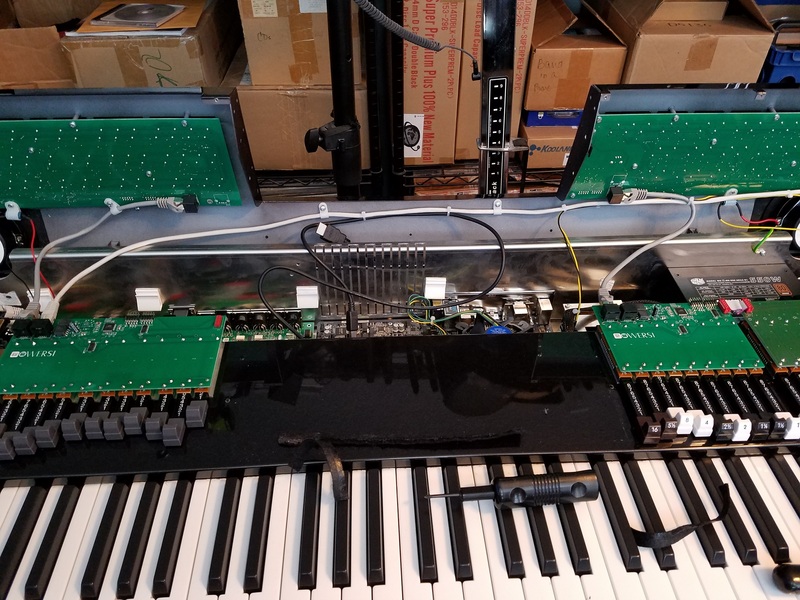 But to see all the old electronics falling apart and the new parts spread out on the table and then being assembled like in the LEGO game is to admire ! Jerry got his new screen?? Yippee!!! We FINALLY got word that our OAS to OAX upgrades will ship from Germany next Monday. We’ve been waiting for months, but seeing will be believing. Spike, Rich and I can’t wait to get started on the OAX journey. Yep – Nice huh? Next Monday – So you should have everything to complete the upgrade later in Sept? Keep us all posted and share what you learn going through the upgrade process.